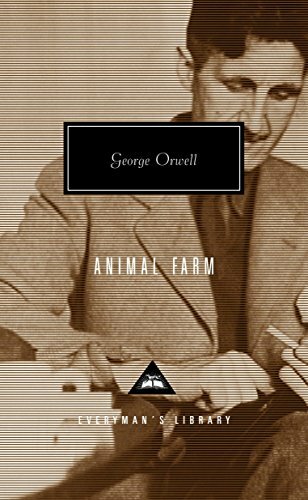 In Orwell’s other book – Animal Farm – we read about a mutiny against the farmer by the livestock, who draw up a kind of Declaration of Rights premised on the idea that all animals are equal. This is painted on the side of the barn for all to admire. Over time (and in the dead of night) caveats and exemptions are inserted – by the pigs – culminating in the new idea that some animals are more equal than others. The pigs begin wearing clothes, sleep inside the farmhouse – while the other animals sleep outside or in the unheated barn. When it comes to driving fast, some two-legged animals are without doubt regarded by themselves as more equal than others. If an armed government worker is in a hurry, it is justifiable (as he sees it – and as the law regards it) for him to drive very fast, indeed. As fast as he likes, really – there being no defined limit he must abide by. “Too fast” is judged on a case-by-case basis – according to such doctrines as exigent circumstances, the exigence and the circumstance being subjective and interpreted by the armed government workers themselves – or by their higher-ups. We have no say in the matter, as is also the case when we are pulled over by an AGW for driving “too fast” – which is specifically defined in our case as faster than whatever the posted speed limit is, even if only by three or four MPH – no matter the exigence of our circumstances. In Franklin Township, New Jersey an AGW named Nicholas Locilento was traveling very fast indeed – at least 74 MPH on a country road with a posted speed limit (for the rest of us) of 50 MPH. No sirens or lights to give notice of his rapid approach. A 10 year old by named Matt McCloskey ran out into the road – he was apparently on his way to a sleepover at a neighboring friend’s house. Locilento – who was “responding to a non-emergency call” – struck and killed McCloskey with his speeding car. McCloskey’s death has been processed as a “tragic accident” – i.e., implying it was unavoidable, a veritable act of God, who must have had his foot on the accelerator pedal rather than Locilento’s. Locilento has not only been cleared of any wrongdoing – not even small fine for failure to maintain control of his vehicle – he is back on the roads and driving just as fast as he likes.